This is declared by Eoin Loveless ten seconds into ‘Bonfire of the City of Boys’, the first track from Strange Creatures – a sign of things to come in Drenge’s energetic and long-awaited third album. Each track combines music with cinematic storytelling – half the fluid precision of Nick Cave and half horror audiobook (see the spookily evocative ‘Prom Night’). The band call the album their “most considered record”, a statement that rings true with what is certainly their most adventurous piece of work so far and an impressive evolution from the more deadpan grunge stylings of Undertow. 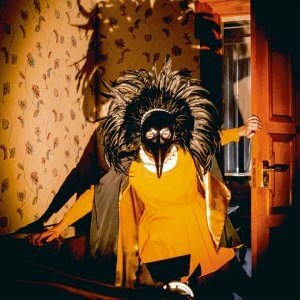 What the band and producer Ross Orton (Arctic Monkeys, The Fall) manage to achieve with Strange Creatures is to depict eerie, stylised horror imagery with a decent dollop of their trademark punk ferocity. Existing fans will not be disappointed – and there’s enough in there for the rest: ‘Bonfire of the City Boys’ is, in particular, something special.